...So how much WILL it cost? The mythical white iPhone 4, which some say only grows on the south side of a specific mountain, others say will fall from space when the time is right and some claim is just a figment of your imagination, has cropped up on Expansys. Quite where this initial price came from, why it's cropped up or – since the iPhone 5 is rumoured for June – who really cares all that much, but either way, Expansys isn't commenting. 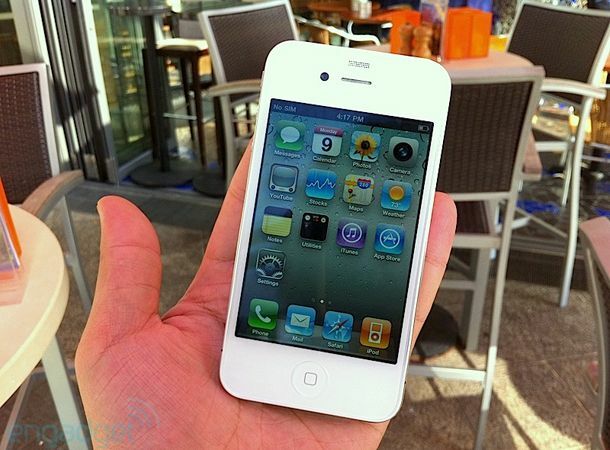 Anyone still holding out for the white iPhone 4 is welcome to let us know why on the T3 Twitter feed.